If you have a breathing problem, the Better Breathing programme can help you to improve your breathing and fitness. The programme does this through education and exercise. This is called pulmonary rehabilitation. People with breathlessness lose fitness. The programme teaches you to manage your breathing through gentle movement and exercise. Studies suggest that people with lung conditions like COPD do better if they do pulmonary rehabilitation. In Canterbury, a free eight-week pulmonary rehabilitation programme called Better Breathing is available for people with long-term chest conditions like COPD. The programme consists of a two-hour session twice a week, and participants are encouraged to attend as many sessions as possible. Each session includes an hour of exercise followed by an hour of education by various local experts. 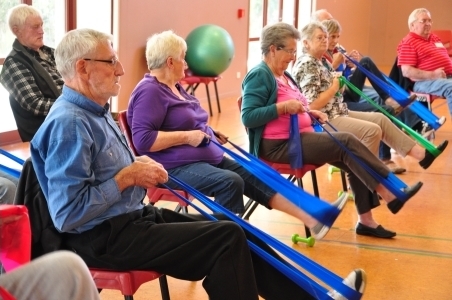 These pulmonary rehabilitation programmes are held at various locations around Canterbury. You will have an assessment about a month before starting the programme. There are entry requirements for this programme. If you are interested in attending a pulmonary rehabilitation programme, phone (03) 353‑9973, or talk to your general practice team. Written by HealthInfo clinical advisers. Endorsed by community respiratory physician, Canterbury DHB. Last reviewed November 2017. Last updated October 2018.